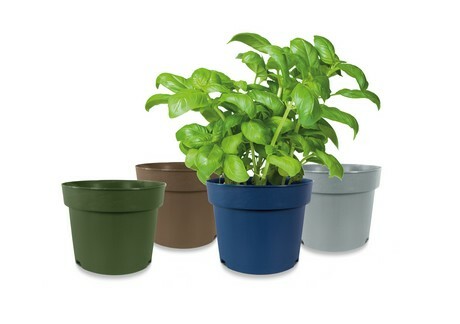 Modiform have developed pots made out of post-consumer recycled material in four colours. For all sizes of thermoformed and injection moulded pots, you can now choose from the colour green, taupe, blue and grey. The pots are made from consumer waste and are 100% recycled and recyclable. 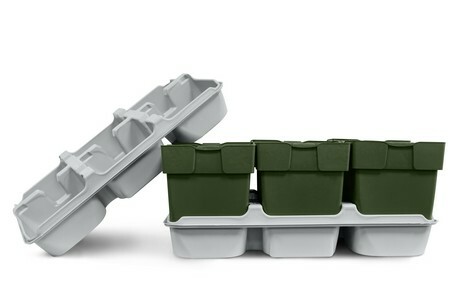 Modiform can also deliver cool grey transport trays, packs and even propagation trays made out of old white goods. Jan van Brummelen (Director Production Modiform): ‘Sustainable production is part of Modiform's DNA, and we are constantly looking to make improvements in our sustainable manufacturing methods. These pots and trays are a good example of how we choose the appropriate recycled composition of material’. Modiform strives to be a sustainable producer of cultivation, transport, and packaging systems. Together with their customers and chain partners, they give recycled materials a new useable life each and every day. In this way, they help create and drive circular systems in which the useable life of raw materials is extended. Modiform continuously improve their sustainable production by optimising designs, ensuring the right composition, and aiming for reduction, reuse, and upcycling. Modiform likes to discuss the sustainable qualities of their products. Would you like to know more about the post-consumer recycled material pots and cool grey trays? Modiform is happy to welcome you at the IPM (3A29). There you can also see the Thomsen pots, EcoExpert products, inserts, propagation trays, retail trays and much more.